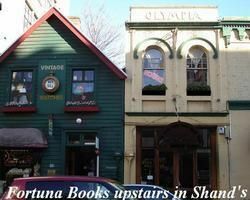 FORTUNA BOOKS SHIPPING RATES in New Zealand dollars for standard Air rate. New Zealand; NZD $10 tracked parcel post or email direct for best rates. NOTE: Any order for books valued at $250 or more will need to choose the EXPEDITED shipping method to comply with postal regulations. and to cover the extra costs involved. THIS only applies to shipments outside New Zealand. Weights greater than 1000 grams will be charged a proportionally increased rate. I.E. 2500 grams will be charged at x2.5 standard 1kg rate. Books received which are not as described may be returned for a full refund of the book cost, less shipping, after prior arrangement with the seller. Please make no returns until we have agreed to the terms of the return.